OLS Tom Barnett: Pray It Forward! It was only after the recent Bronze Savage presentation ceremony in honor of our friend and colleague, Tom Barnett, up in the hills of Malibu this past Sept. 19th that I realized that we could have had a really nice prayer circle for Tom on site and in living color. Nevertheless, there was an outpouring of friendship, love and support for Tom that was absolutely spectacular! It's never too late, however, to keep the momentum of support going by asking everyone to express positive thoughts and prayers for Tom. If you believe in prayer, pray and pray alot. If you are a positive thinker, bring on the positive thoughts and spread them around. So we are asking you to "pray it forward" or pass along positive thoughts to another lifeguard, friend or family member. From one to the other let's all say a prayer for Tom or give him a shout out by talking or otherwise communicating positive thoughts to another lifeguard, friend or family member of your own. Ready, Set, Go! This Lifeguard Prayer Circle has now begun with the posting and publishing of this message and I ask that each of our readers to please pass this message along and pray it forward. 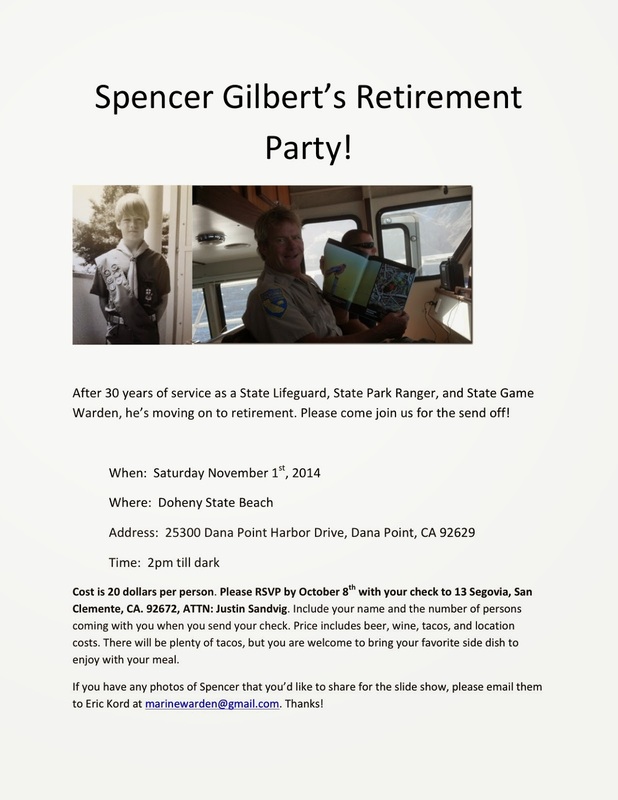 Can you share Spencer Gilbert's Retirement Party announcement with the millions who follow your journalistic musings? Not sure if you've worked with Spencer but he is a fixture out here (on Catalina) and works a lot of days as a LACo Recurrent in Avalon Beach. He was a seasonal for the State and recurrent for the County in the South Bay. Went permanent for the State as a peace officer lifeguard at Huntington in the mid 80s then went to Fish and Game (Now called fish and wildlife) but continued to work for the County as a Recurrent. 10-4, Jay, we are all over it like jam on toast! Editor's note: readership on the blog has dropped below one million due to 12 plus hurricane generated swells the past 3 plus months causing LACo Recurrents to work overtime shifts and otherwise spend their off duty hours surfing, SUPing, swimming, bodysurfing, etc. After 30 years of service as a State Lifeguard, State Park Ranger, and State Game Warden, he’s moving on to retirement. Please come join us for the send off! 13 Segovia, San Clemente, CA. 92672, ATTN: Justin Sandvig. Include your name and the number of persons coming with you when you send your check. Price includes beer, wine, tacos, and location costs. There will be plenty of tacos, but you are welcome to bring your favorite side dish to enjoy with your meal. Dateline: Friday evening, September 26, 2014... Sundown At Venice Pier. We rolled into the parking lot just as the sun was setting and expedited our photographic mission... of capturing the spirit and the energy of the evening's setting sun. Heads up, South Bay! Your HOMETOWN FAIR in just around the corner and the Los Angeles County Surf Life Saving Association needs your help. This year LACO SLSA is sponsoring the Lifeguard Taco Booth that in years' past has been sponsored by the Southbay Surf Club. We need volunteers to help out with ALL phases of the booth. From fish cutting on Friday, Oct 3rd at SSH including booth set up in Manhattan Beach to tearing down and cleaning up on Sunday the 5th, Monday and Tuesday. All in Oct. for the Hometown Fair. They need to get in touch with Jamie Orr who is coordinating the booth at: 310-699-2924 or sign up at SSH. This is our first booth in three years and the MB folks want us back badly. We’re a hometown favorite. x-ref: Check out our previous blog post from 2009 about this worthy and famous annual event! Manhattan Beach "Fish Taco Booth" at Hometown Fair, Oct. 3 & 4, 2009 ! Additionally, we audited the "County Recurrent" photo archive and located some photos we took at the 2009 Hometown Fair, which we have included below, as well as above. Subject: THE FISH TACO BOOTH IS BACK! 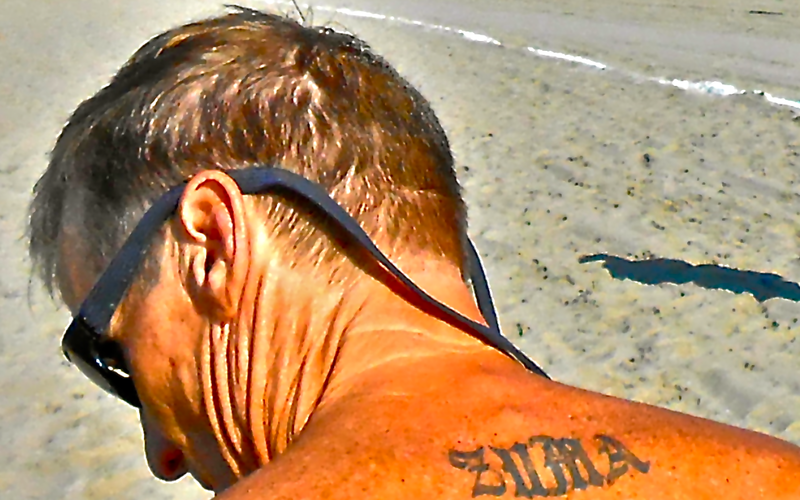 This message is being relayed for the Los Angeles County Surf Life Saving Association. Please contact them directly with any questions (contact info below). After a hiatus for the past few years, the Los Angeles County Surf Life Saving Association is pleased to sponsor the "world famous" Lifeguard Fish Taco Booth at the upcoming MANHATTAN BEACH HOMETOWN FAIR next Saturday October 4th and Sunday October 5th. We are looking for volunteers to help us staff the booth for the weekend and/or assist with preparations or cleanup. This is an outrageously FUN event, so come on out and take part! ****Please call or come by Hermosa HQ to signup (310-372-2162). Fish Taco Booth Location: On Dorsey Field at Live Oak Park near the Main Stage and the Beer Garden, just off of Valley Drive at 21st Street. The entire Fair is held on Valley Drive between 15th and 21st Streets in Manhattan Beach. Please visit www.mbfair.org for more information, including parking and shuttle service info if you are coming from further away. We hope to have Fish Taco Booths at other community events like the "Abbot Kinney Days" or the "Malibu Chili Cook-off" in the near future, so please join us next weekend to see how much fun it is to host this perennial favorite. 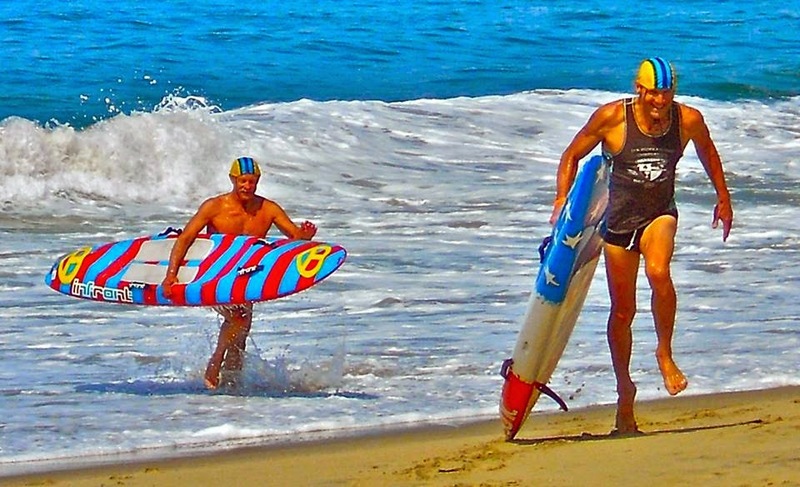 The Los Angeles County Surf Life Saving Association is a 501(c)3 public benefit corporation. Proceeds from events such as this Fish Taco Booth fundraiser will benefit numerous areas of focus of our association, including beach & ocean safety education initiatives, public outreach, surf racing equipment purchase & repairs, national & international competition participation, alumni relations and other partnerships and interests. p.s. "County Recurrent" inquired whether Manhattan Beach local lifeguard legend and Fish Taco purveyor, Micah Carlson, would be working the booth but Joel told us that since Micah is married now that he could not be certain of his participation. No doubt this will affect patronage to the booth so Joel and Jamie will be interviewing other LACo Ocean Lifeguards who have the same potential drawing power. It was a bit busy and hectic this past summer, eh?!... Just ask Ben Gottlieb and Bob Kilroy's chest cavity!... :-) or any of our guards at Venice and Santa Monica South!... Even Will Rogers got pounded on Big Wednesday in late July. And Santa Monica North dealt with ever increasing crowds and emergencies on the sand and in the water. So here we are on the first day of Fall, Tuesday, Sept. 23, 2014. And our phones have been ringing off the hook from So. Section guards pleading for more photos of Central Section. In response to these demands we captured a few shots of Santa Monica North at approximately 3:30 pm from the bluffs at Ocean Ave. and Santa Monica Blvd. It's still business as usual on SMN with Towers #1550 and 15, 12 and 8 open... and probably Tower #4 as well (but we didn't really look that closely...). 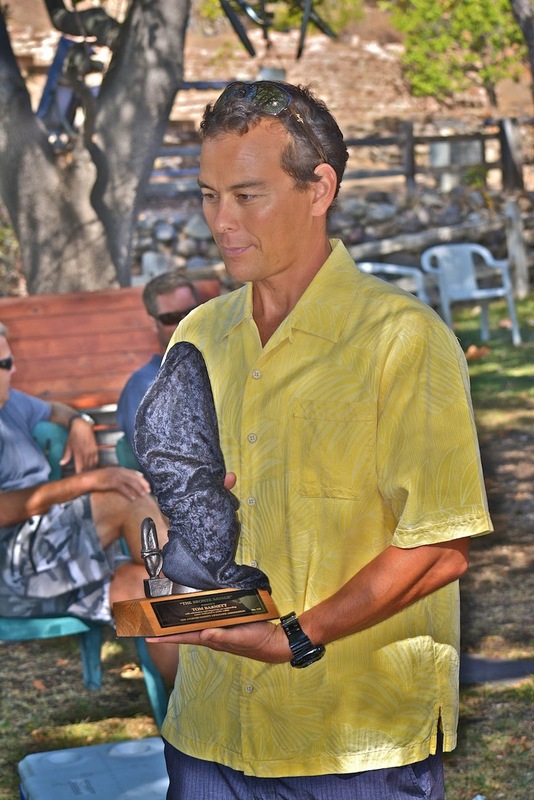 Dateline: Friday Afternoon at 3 pm, somewhere in the hills, way up in the hills above Leo Carrillo State Beach, a large contingent of LACo Ocean Lifeguards, family and friends gathered for the presentation of the "Bronze Savage" award to LACo OLS Tom Barnett. We hope you enjoy these photos, plus a video of this lifeguard family gathering celebrating the auspicious lifesaving career of Tom. Tom was really thrilled to see so many people there to celebrate his career and for being there for the award presentation. Dateline: Saturday Evening, September 13, 2014 at the Dockweiler Youth Center on the beach... on the occasion of Chief Barry Nugent's Retirement Dinner. We hope you enjoy the photos from this wonderful evening among family, friends and colleagues. Congratulations, Barry, on a well deserved retirement!